Kingdom Come Deliverance, the RPG developed by Warhorse Studios, has been released this week in all regions after a long development time, and players are just starting to get acquanted with some its unique mechanics. Among them is the save system, which doesn’t allow players to save anywhere like in most RPGs. If you really cannot stand this, you may want to check out a mod for the PC version of the game which makes saving everywhere possible. The Kingdom Come Deliverance Unlimited Saving Mod allows players to save anywhere at any time during the course of the game. You can download it by going here. Kingdom Come Deliverance has received a huge day one patch which practically replaced the whole game. Executive producer Martin Klima recently revealed why this happened. The production realities of game development mean that a ‘release’ version has to be finalized some time before the actual release date. We could have used this time to get some rest, or we could use it to create some additional content and sell it to you as DLC, but we went back to the version-to-be-released and worked on it. The results are obvious: quests are more balanced, RPG progression is smoother, the game runs faster and every facet of the game got more polish. The drawback of course is that most of the data in the old build was replaced and has to be downloaded as a patch. At a hefty size, it’s going to take some time to download and it’s a shame. Still, we strongly believe that after four years wait it will pay off to wait a little bit longer while the Day 1 patch is downloading. Trust me, it will deliver the awesome experience YOU deserve! 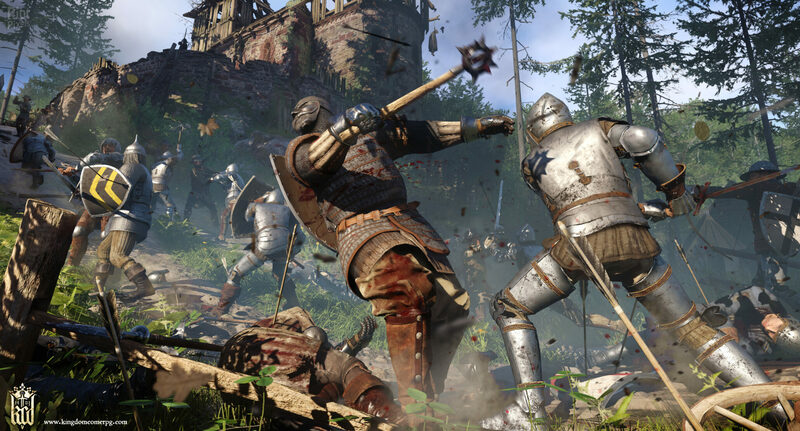 Kingdom Come Deliverance is now out on PC, PlayStation 4 and Xbox One.